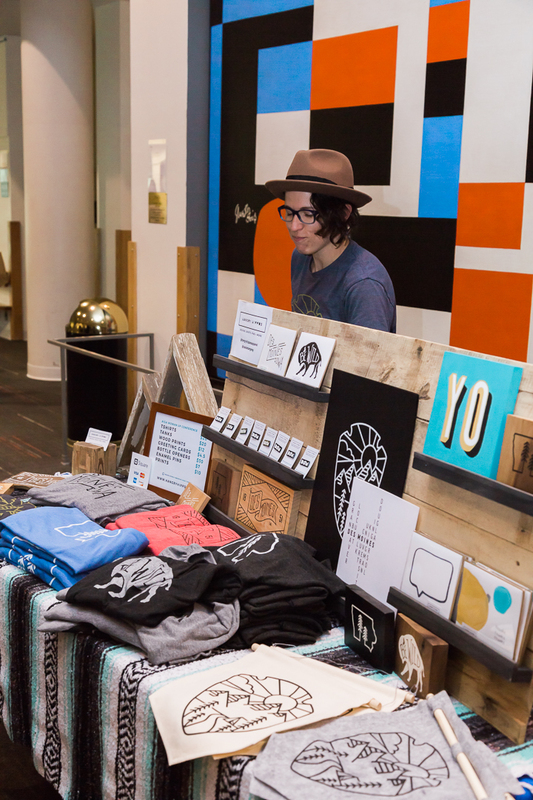 This fall AIGA Iowa kicked off the first annual [WO]MAN UP! Conference to champion female talent and professional development. 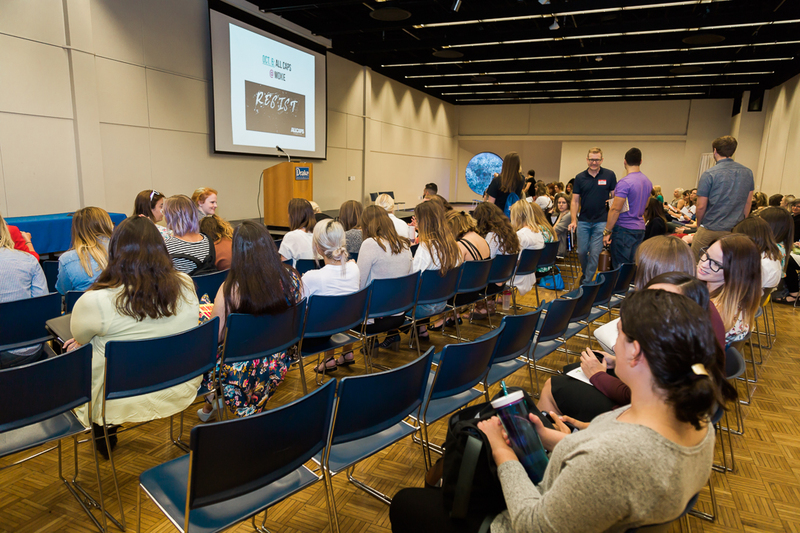 During this day-long event at Drake University, attendees chose from a variety of breakout sessions ranging from hands-on workshops to audience-driven panels. 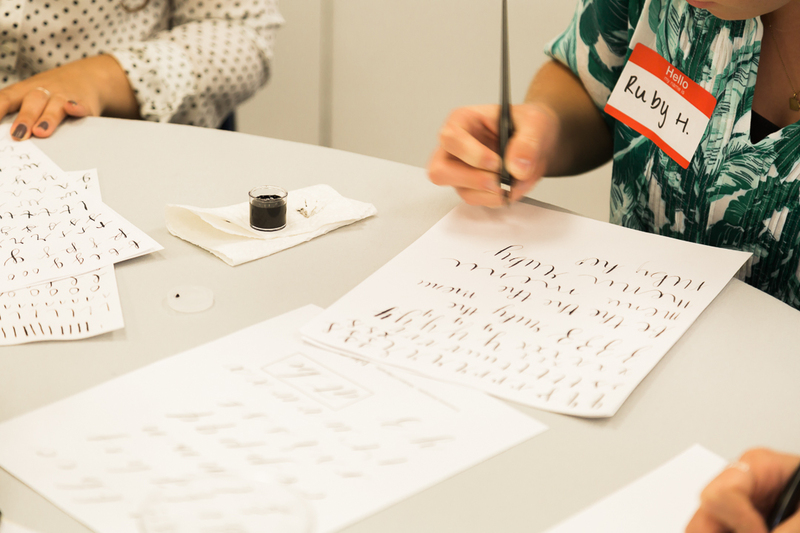 Tome Plaza-Hope (Ink & Oak Calligraphy), Sara Perez (Pink Letter Day), and Anna Frederick led three different hand-lettering workshops and Rachel McClung (experience UX) conducted a experience mapping session. Two panels hosted another great cast of local ladies. 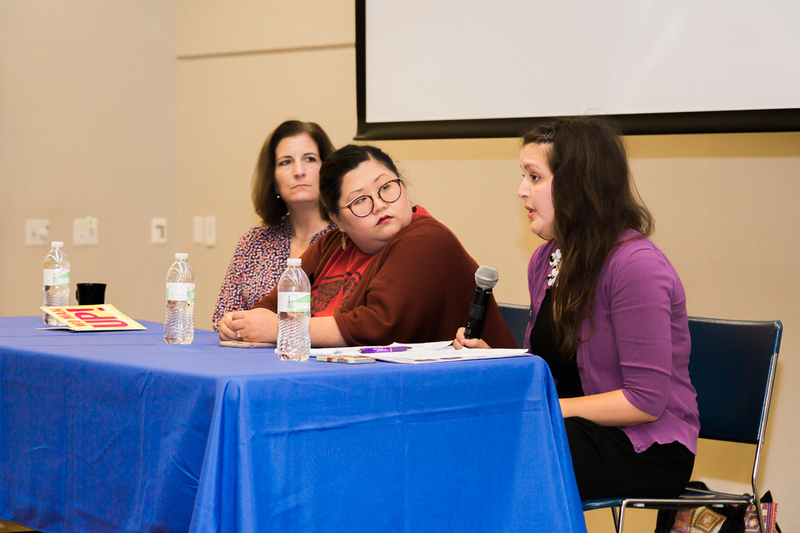 Christine Her (ArtForce Iowa), Andrea Love (c(3) Marketing), and Erin Moran (Young Women’s Resource Center) led a discussion on using creativity for social justice. Sarah McCoy (The Permanent Collection), Amy Getty (Grand View University), and Abby Wolner (Financial Capability Network) fielded questions on finance management, salary negotiation, and finding a balance between business and family. 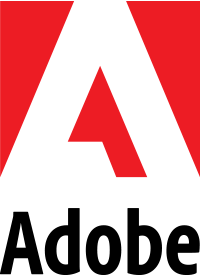 The event was bookended by two national leaders in design. Cheryl Towler Weese opened the event with a talk on the history of social inequity in the world of art and design. 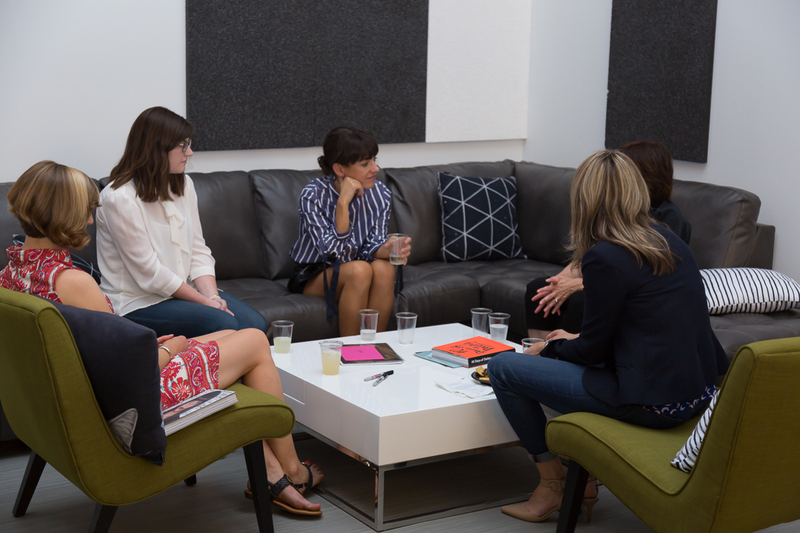 Presenting both work by artists she admires as well as pieces from her own practice at her Chicago based firm, Studio Blue, Cheryl provided valuable insight into how we can become socially conscious designers. The conference was then capped off with a high energy keynote presentation by Jessica Walsh. 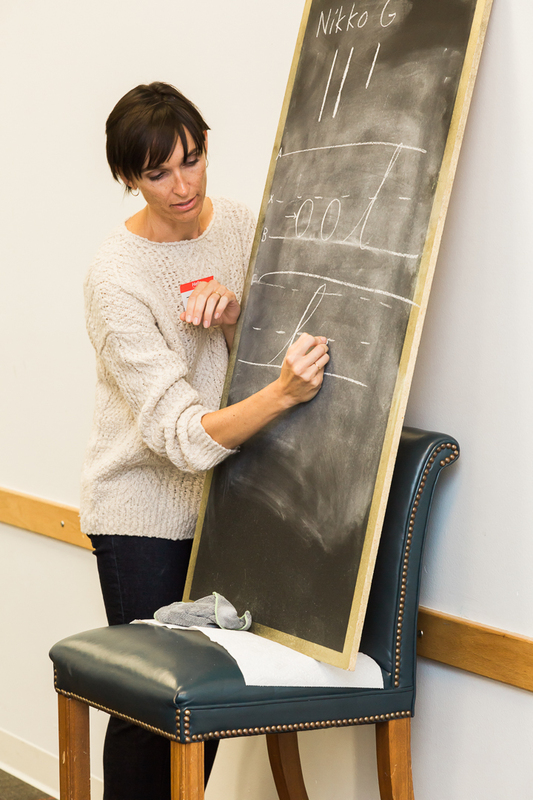 Jessica is a designer, illustrator, and partner at Sagmeister & Walsh, the internationally renowned design firm in NYC. Her talk on the value of play spoke to the importance of adhering to rules as well as knowing when to break them to achieve creative success. Attendees then had the opportunity to meet Cheryl and Jessica in person at the VIP After Party hosted at Trilix Marketing Group in downtown Des Moines. The Side Garage led on-site screen-printing to make a poster commemorating the event, and Maggie Goldheimer of Henna by Maggie decorated attendees with beautiful henna designs. And the Fighting Burrito kept everyone full with a nacho bar to accompany craft beer from Exile Brewing Co. as well as wine and of course, margaritas. At the end of the day, this inaugural event saw over 130 attendees from not only Iowa, but Missouri, Minnesota, and Nebraska.